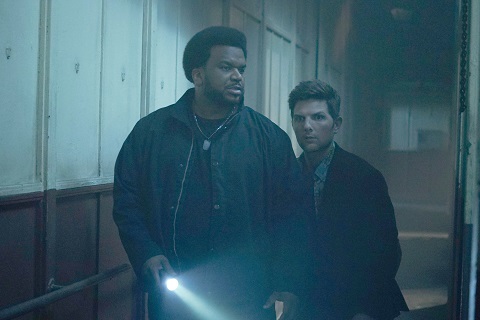 Ahead of its May Upfront presentation next week, FOX has ordered the Ghosted TV show pilot to series. 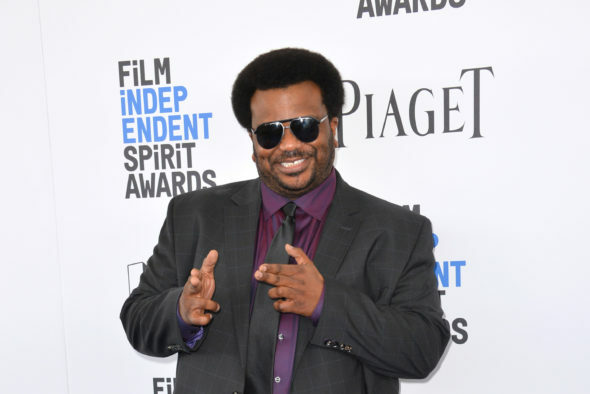 Craig Robinson and Adam Scott boarded Ghosted show back in September 2016 and star in the FOX paranormal comedy series, with co-stars Ally Walker and Adeel Akhtar. 5/10 update: Check out two new Ghosted TV show photos, below. Written by Tom Gormican (That Awkward Moment), Ghosted centers on a cynical skeptic (Robinson), and a genius “true believer” in the paranormal (Scott), who are recruited by The Bureau Underground to look into the rampant “unexplained” activity in Los Angeles – all while uncovering a larger mystery that could threaten the existence of the human race. Ally Walker and Adeel Akhtar co-star. Gormican executive produces with Robinson, Scott, Naomi Scott and 3 Arts’ Mark Schulman and Oly Obst. 20th Century Fox TV is the studio, producing with 3 Arts Entertainment and Gettin’ Rad Productions. Kevin Etten (Workaholics) is showrunner/executive producer. Jonathan Krisel directed the pilot and executive produces. The timing of Ghosted is good since the project, described as a comedic X-Files, will air next season alongside the second installment of Fox’s recently rebooted signature sci-fi drama. A little while after we published this article, The Futon Critic uploaded two Ghosted TV show photos. Check them out. What do you think? 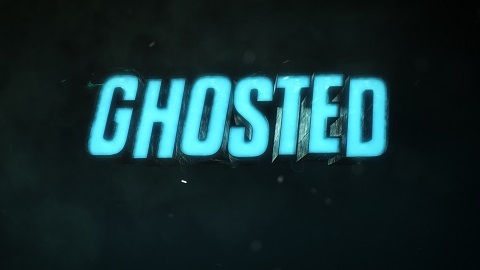 How do you like the sound of the Ghosted TV series? Do you plan to check out this new comedy, when it premieres on FOX? More about: FOX TV shows: canceled or renewed?, Ghosted, Ghosted: canceled or renewed?, The Office (US), The Office (US): canceled or renewed?